Crop tops were the in thing during the 90s. Trendsetters like The Spice Girls and Britney Spears took the fashion world on a roller coaster ride with this style. Not sure what happened, but they suddenly went back into the hood during the 2000s. Thankfully they are back now – and with a bang! While all my friends were excited about this look, I, being the shy type, had my reservations about its suitability for all body types. It turns out, they are for everyone because there are probably like a million ways you can style them. And we will now look at the different ways on how to wear a crop top. Long skirts with T-shirts, shirts or flowing tops are a thing of the past. Now, it’s all about those crop tops. You can pair your long skirt with a flared or off-shoulder crop top and use accessories to amp your look. 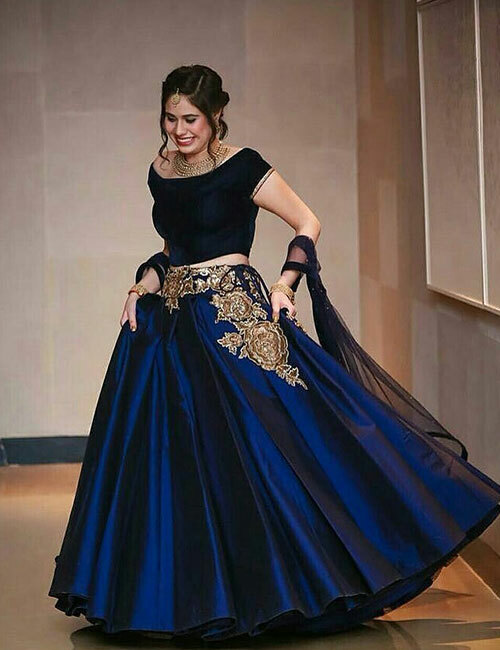 Combine the best of both the worlds by pairing a crop top with a lehenga or a long ethnic skirt. And, the best part about this is that your crop top can double up as a choli on more than one lehenga or worn with jeans, trousers, etc. 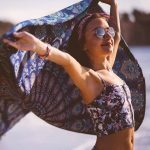 It is established that crop tops with midi, denim or maxi skirts are considered extremely modish and stylish. So, don’t fret too much the next time you have a sudden weekend plan. Just go for a denim skirt, a flowy top, and a statement neckpiece. One of the easiest ways of wearing your crop top is to just slide on a pair of jeans and pair it with it. You have absolutely nothing to worry about since it goes with all kinds of jeans – be it high waisted, mommy pants, flared or bootcut. Palazzos with crop tops are fun, airy, and elegant. You could dress up or down with your palazzo bottoms. Go for regular plain or printed palazzos with simple crop tops for everyday wear or a heavy silk palazzo with a chiffon crop top for a special event or a party. 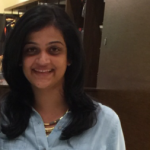 Have an event to attend and do not have a blouse ready? No problem! 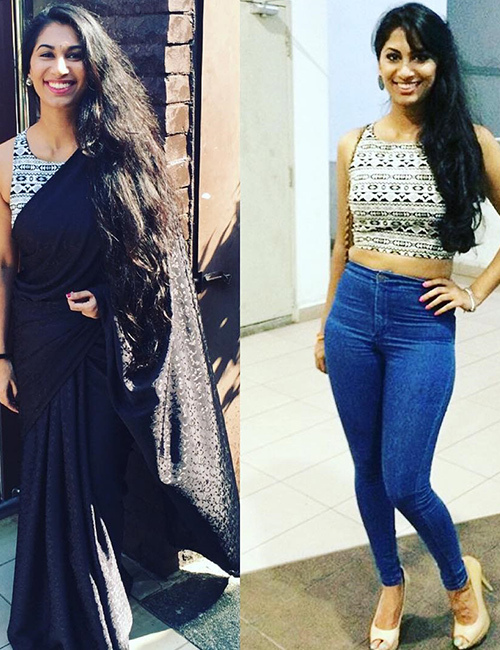 Just pick up your plain white or black crop top (depending on the color of your saree) and thank us later. Off-shoulder and ruffled crop tops with sarees are the fad right now. All of this without the pain of getting a blouse stitched. Why not? Just go with this look blindly because it’s the perfect outfit for just about anything you have planned – a day at the mall, a beach vacation or dinner with friends. Matching shorts and crop top sets are a thing. Loose crop tops with shorts is another attractive option for curvy women. Wondering what to wear for your date night? Pencil skirt and crop top it is! And, it does not have to be anything fancy, just a usual pencil skirt from Forever 21 or H&M with a cute crop top are all you need. After everything, if you are still looking for interesting ways to style your crop top – pair them with dhoti or harem pants. Bring out that inner hippie. Also, this makes for a fun yoga costume. Love the idea of crop top, but you are not very thrilled with all of the skin show? Join the club. Add another layer to it in a way that it does not take away anything from the crop top yet looks stylish. A leather jacket, denim shirt or a long jacket will do. A perfect monochrome outfit idea. A peplum skirt and a crop top are one of the most fashionable ways of styling. The peplum skirt adds an interesting definition to the outfit and makes you look urbane chic. Another version of the peplum skirt is the flared skirt. A well-fitted crop top with a knee-length flared or A-line skirt is all you need to spruce up your dinner plans with friends or that someone special. Add a long neck piece and a pair of wedges or platform heels – you are sorted. Flared crop tops can instantly bump up your style quotient without actually doing much. These tops go perfectly well with shorts, jeans, and linen shirts. If you have not tried this style – add this to your Pinterest board already! Crop tops swing both ways and can be worn for a formal set-up if styled the right way. Go with a pair of straight cut formal trousers, silk or chiffon well-fitted crop top, a statement neckpiece, stilettos, and a leather handbag. You could also layer it with a blazer or wear a formal shirt (crop top style) to take your look to the next level. High waisted skirts, trousers, and palazzos with crop tops are so in right now. High waisted formal pants with a shirt can make for a formal attire; a pair of printed palazzos with a crop top can pass off as party wear; and just a plain high waisted jeans or skirt with a ruffled chiffon top, peep toes, and a cute tote or sling bag can be the perfect outfit for a get together. Play peek-a-boo with suspenders – be it full length or half. Gone are the days where suspenders were worn with regular T-shirts – now it’s all about crop tops. Also, it is an attractive style for those of us who love this style but are not ok with the idea of revealing too much skin. Again, it can just be as simple as pairing your suspenders with a plain black or white crop top or one with an off-shoulder style. 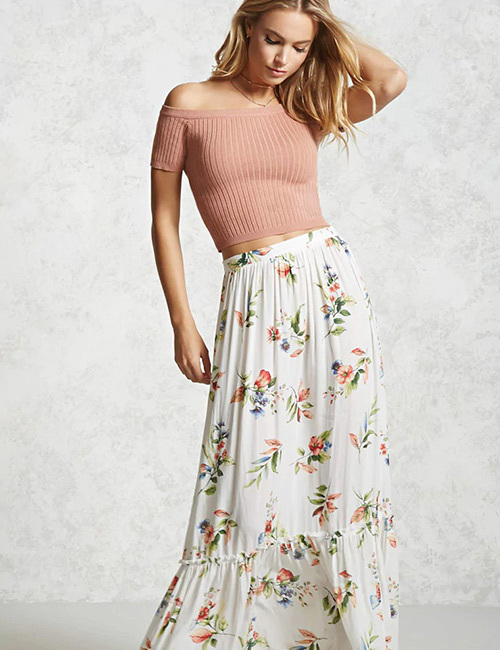 A maxi skirt and a crop top are perfect for the spring. You can go with a printed skirt like this one and a plain crop top, or the other way around. But keep one of them plain unless you want to flaunt the crop top matching set look. 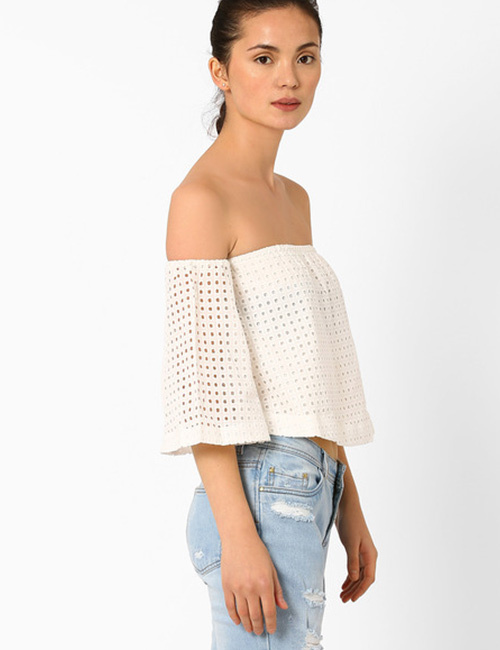 The crop top can be off-shoulder, full sleeves, loose or flared – just about anything will seal the deal for you. 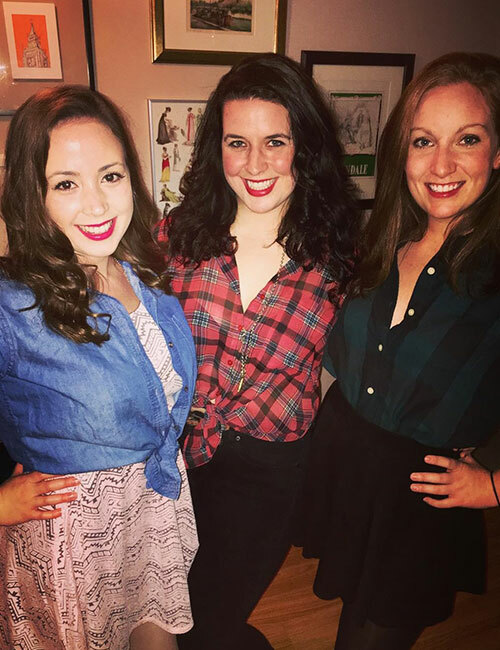 Flannel shirts are everywhere, just like crop tops. So, might as well bring them both together. If you are conscious about showing off your midriff, layer up your plain crop top with a shirt or tie it around your waist, just like how we usually do with flannel shirts anyway. Is off-shoulder your favorite style? That makes two of us! Pair your off-shoulder crop top with your regular jeans, high waisted trousers, palazzo pants or even a maxi skirt. And, they all make for stylish options. Just add a choker neckpiece to complete this look. Or, just use your denim or plaid shirt and tie it up as a crop top. It works like a charm! This list is just the tip of the iceberg. There’s so much more that you can do depending on your style, taste, and occasion. You can never get bored of styling your crop top. Do you know of any other way on how to wear a crop top? Let us know by dropping in a text in the comments section below.